Need better communication with your Teen? Has respect for parents left the household? Have peers taken over your child's attention? Adolescence is a fascinating stage of life! What a refreshing viewpoint if you are in the midst of parenting teens right now or will be parenting in the next few years. This series will help support parents at any point in their life even if they aren't rearing teens yet but plan to. you will be in a better position to help support and keep the love alive between yourself and your teen. understanding, and restore attachment and respect in your home. This series will help you as a parent in navigating the ride of the teen years. Teen Decisions~Are their brains ready for logic? 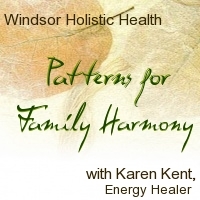 Remember, this is for you as a parent or guardian to clear Your resonance with your own patterns from your own teen years. Clearing your resonance will open the door for respect, better communication, and more love in the home. Proxy sessions are a wonderful way to experience healing via long distance. It allows you to go about your business while the session is happening. "When you change the way you look at things, the things you look at change. "